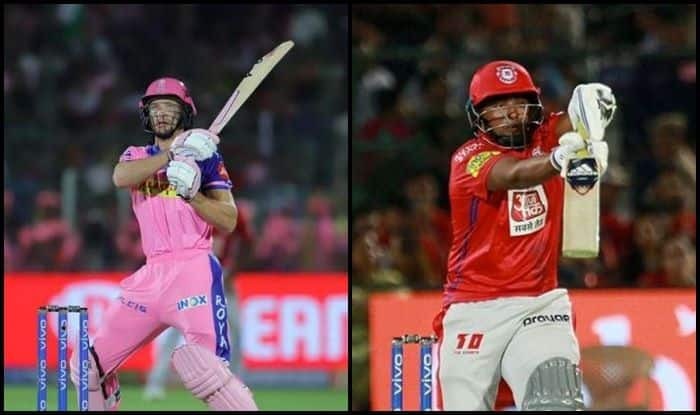 IPL 2019: Both Jos Buttler, Sarfaraz Khan have played key knocks for their teams. IPL 2019: RR v KXIP — So, whose scoop shot pleased you more, Sarfaraz Khan of Jos Buttler’s? Both the cricketers played the scoop shot during their stay in the middle for their respective franchises. First, it was Kings XI Punjab’s Sarfaraz Khan who played an extremely audacious scoop. What made the shot strange was the crazy angle he found. It went straight over the wicketkeeper’s head, if anything a little to the right. He played the shot of Ben Stokes from around the wicket. Khan played a 29-ball 46 blitz which was extremely interesting. On the other hand, Rajasthan Royals Jos Buttler did something similar. But, what was different with Buttler was his lap was the more conventional one, where one moves inside the line of the ball and then uses the angle as he scoops it. Both produced the same result. This is new-age cricket and IPL is the biggest stage of innovation. Earlier, Kings XI Punjab posted a challenging total of 184 for four against Rajasthan Royals in their opening IPL match. Chris Gayle struck a belligerent half-century to guide Kings’ innings, while young Sarfaraz Khan (46 not out off 29 balls) also played a good hand for the visiting side. Opening the innings, Gayle started in an uncharacteristic fashion but grew in confidence as the innings progressed. He scored 79 off 47 balls and hit eight boundaries and four sixes in the process. But Rajasthan’s decision to bowl first on a two-paced wicket was bang on target as KL Rahul lasted just four balls before edging an outgoing Dhawal Kulkarni delivery to wicketkeeper Jos Buttler, who took a brilliant one-handed catch. Gayle and Sarfaraz added 84 runs for the third wicket and in the process gave Kings XI the much-needed momentum. After Gayle’s dismissal, Sarfaraz took the onus on himself and took Kings XI past the 180-run mark.